It doesn’t matter what you have to do, the excitement of moving home simply overrides the stress of it. You’ve chosen your dream home, packed up your belongings safely, but what about the transportation of it? It surely wouldn’t all fit in your car? 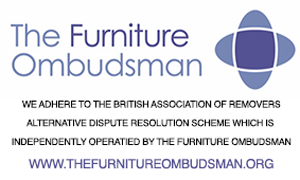 That is where our removal services come into the equation, how can we benefit you and make the process easier? At Jarretts Removals we aim to keep the excitement constantly flowing for you and your family whilst we do all of the handy work. In addition to this, here are five benefits of choosing a removal service. By hiring a removals team, one of the biggest benefits to you is that we speed up the process. We have done this a hundred times before, so you can trust us when we say that we know the right protocols and how to have a successful moving-in/out process whilst you can focus on other things. Also, because we know what we are doing, it saves you having to figure it all out for yourself, adding EXTRA stress. As a professional removals team, we specialise in loading and unloading your belongings in a correct, safe manner. Moving can be a very stressful experience for some, so you don’t want to be adding extra weight by trying to work it all out on your own, just to save some money? Our experience allows the move to be much more productive, safe and overall beneficial to you and your family. By hiring a removals team, you are also hiring an efficient vehicle suited for the job i.e. can carry the weight, there is enough room etc. and packages that offer cover on any damages belongings (only for limited companies, though). As a result of this, it saves you from accidentally overestimating your vehicles weight limit and being paranoid about any damaged goods when putting your trust in us. As professionals, we are in the healthiest state and own the right knowledge to prevent any serious injury to us. Especially when loading and unloading particularly heavy objects, you are putting yourself at risk of dangerously injuring yourself, but with us, we can ensure yours, the belongings’ and our own safety. Therefore making the process a lot safer. 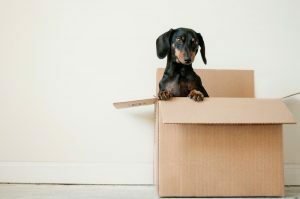 We have probably covered this point throughout the whole article already, but the whole purpose of a removals team is to provide moving families with a service that will make the most exciting milestone in your life a much easier process and much more memorable for you. 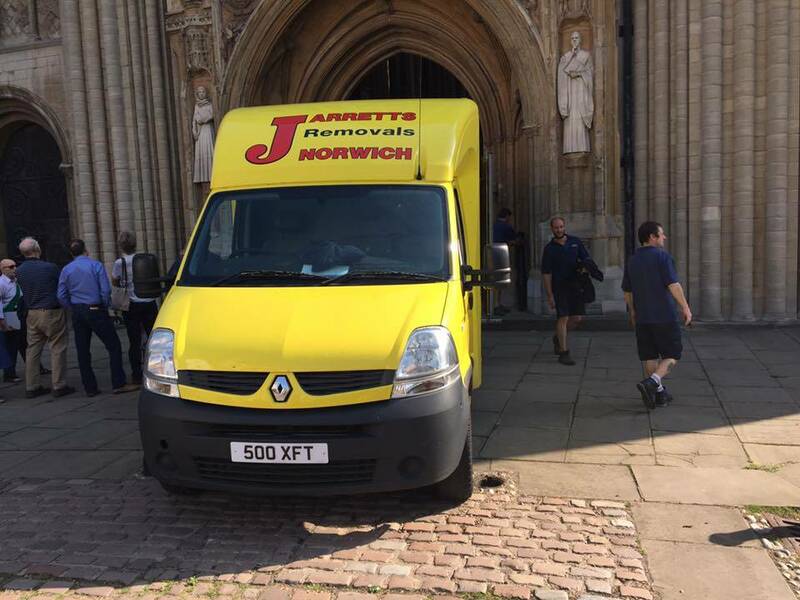 Here at Jarretts Removals, we are a family-friendly business, offering great customer-to-business relationships and a safe removals service Norfolk. 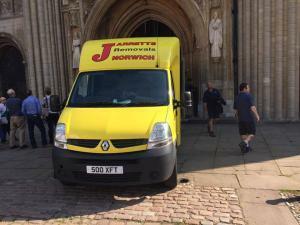 Contact us today on 01603 621862 or email us on info@jarrettsremovals.co.uk.